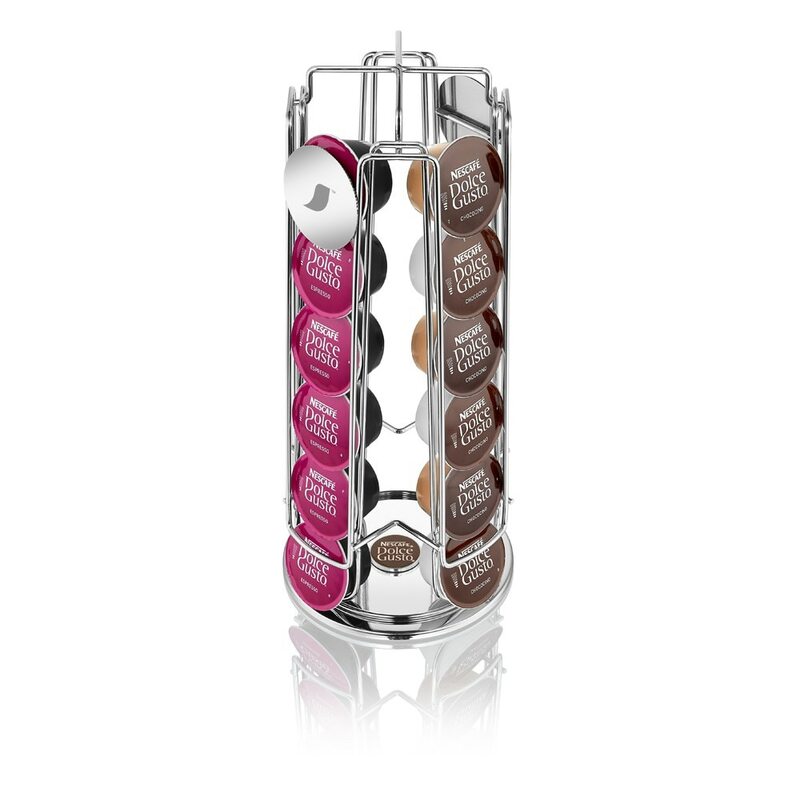 Keep your favourite Dolce Gusto coffee capsules organized with our Scandinavian Rotative capsule holder designed by Harri Koskinen. We have partnered with the leading Finnish designer, famous for the block lamp, to revamp our classic rotative capsule holder to showcase true industrial design and thinking. Now even your capsules can sit in a designer holder. 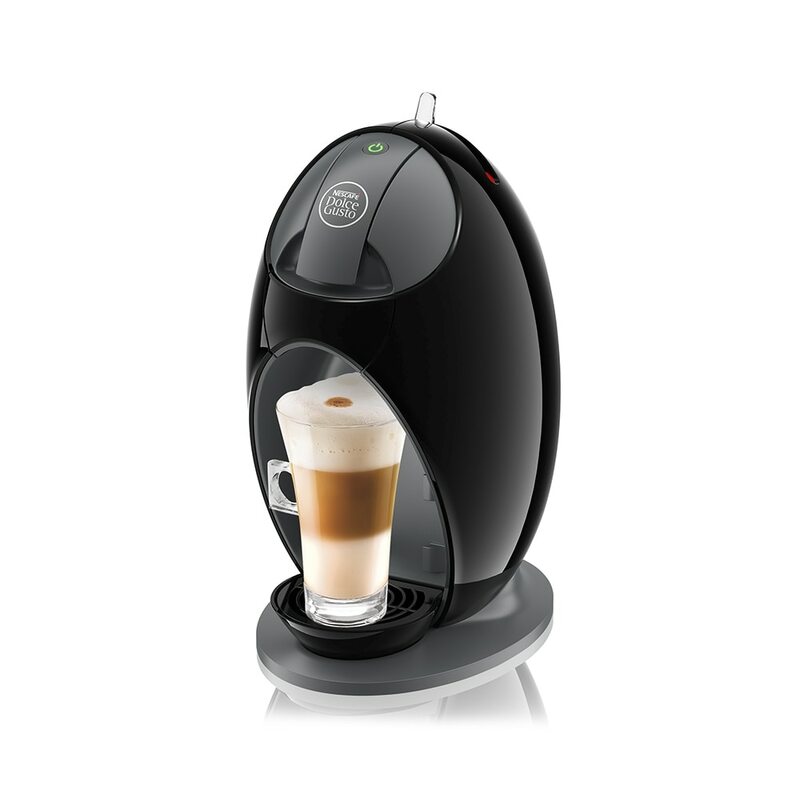 It will make an impact on your kitchen counter while staying compact and very useful. 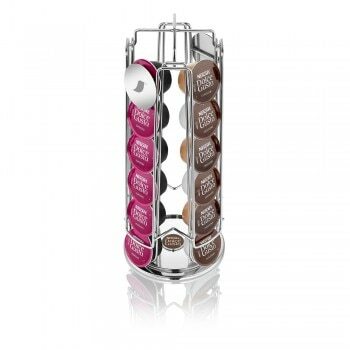 The Rotative capsule holder stores up to 24 capsules allowing you endless ways to organize your favourite drinks. 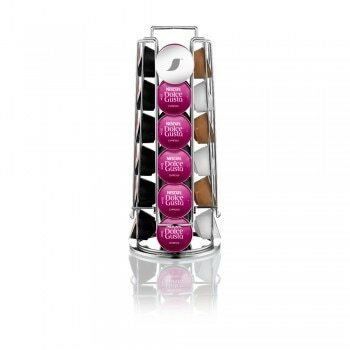 Store your coffee capsules by colour, coffee type or intensity! Tell us what you think about our capsule holder by leaving a review. I LOVE THIS! It's easily the best storage option for all the capsules I bought, and it's easy to take note of the amount left for each flavour as well! The compact and sleek design blends into almost any setting it is placed in, and the rotating function allows for easy reach. Quality is really high and I hope it lasts me long, because I would totally get another one in a heartbeat! Am pleased with this product - it's functional and the sleek design complements my interior and lifestyle. Quality is also superb and I think it will last me a long time! If you have a limited space in your kitchen, then you should add this accessory right next to your hardworking machine.